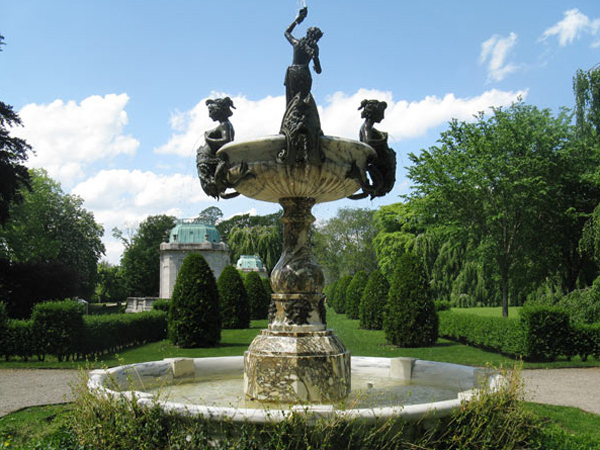 Designed by Horace Trumbauer for Mr. and Mrs. Edward Julius Berwind of Philadelphia and New York, The Elms was modeled after the 1750 Chateau d’Asnieres in northern France. 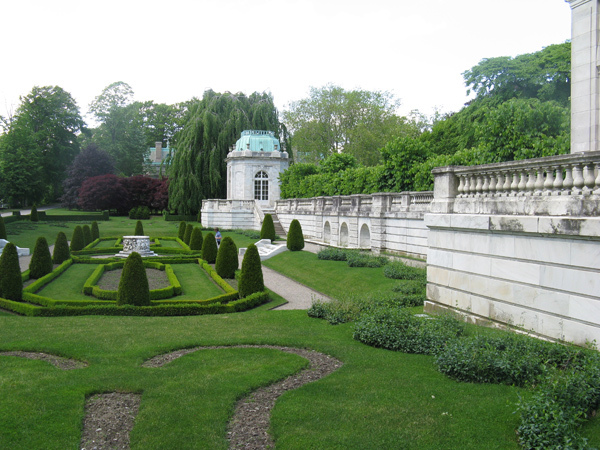 Built between 1899 and 1901, the grand limestone residence is the centerpiece of 11 acres of formal gardens, developed between 1902 and 1914 under the direction of Horace Trumbauer. 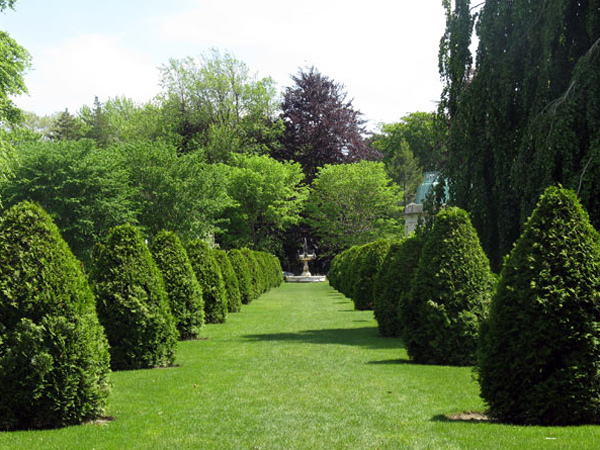 Initially of formal French inspiration and influenced by the writings of Charles Platt and Edith Wharton, the gardens evolved to reveal a strong Italianate influence. 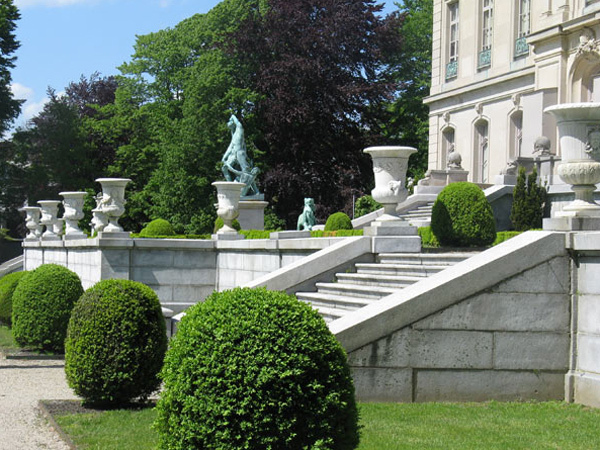 A massive terrace on the west side of the house serves as an extension of the house, punctuated by a series of fountains and dominated by Pio Fede’s sculpture, Madness of Athama. 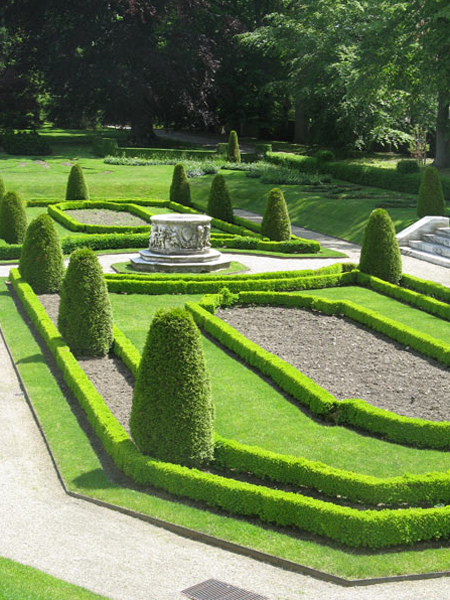 A grand allée on the scale of 18th century French palace gardens extends across an expansive lawn toward two formal marble pavilions situated along a minor cross axis above a sunken garden. 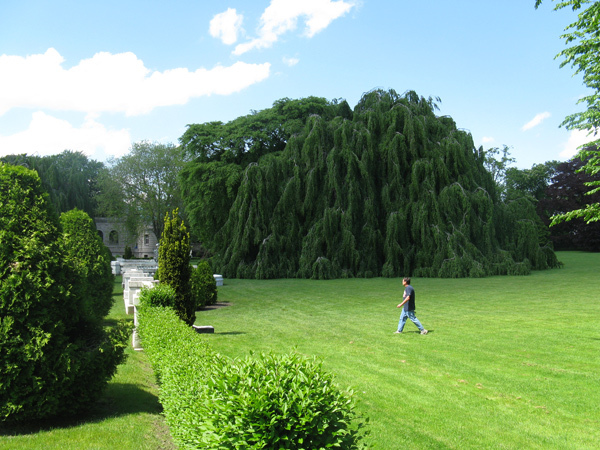 The grand context for the gardens is a park-like collection of specimen beech, elms, maples, linden and other large canopy trees. A formal carriage house and stables face the sunken service entrance, camouflaged by a radial pergola. 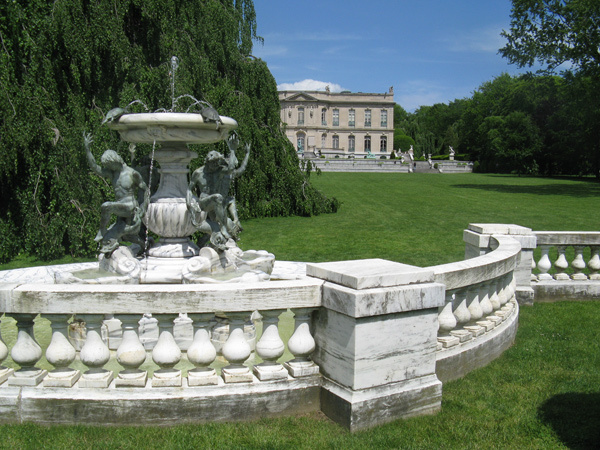 In 1962, The Elms was acquired by the Preservation Society of Newport County. 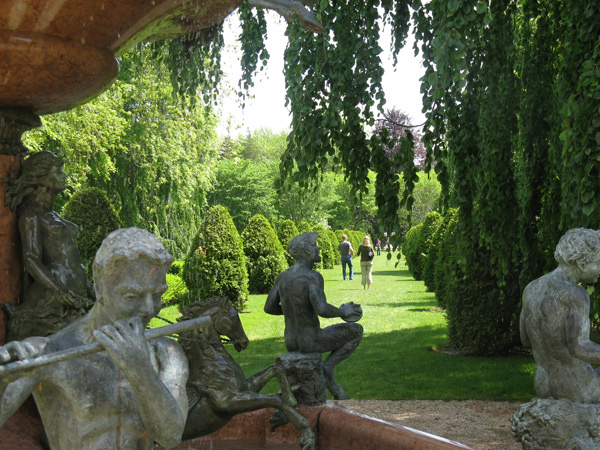 It was designated a National Historic Landmark in 1996.